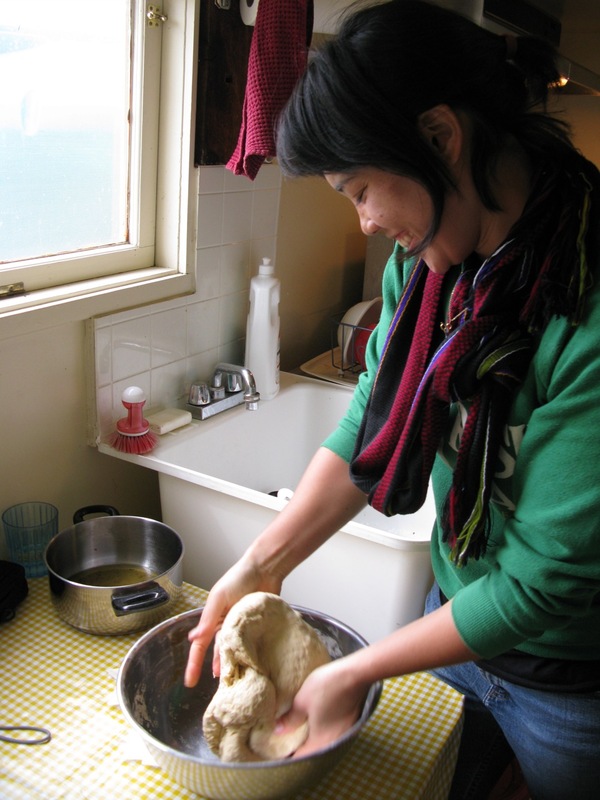 Jess's Many Mini Adventures in Food and Farming: Is smaller and closer, better? Is smaller and closer, better? How does the size of a farm and the depth of community involvement relate to the quality of food produced and/or the quality of external products like land stewardship? "Locavorism isn’t about free-range, its about getting closer to the source; shaking the hand that feeds you and thereby knowing, even seeing, where your food comes from. The reason there are no worthy studies [showing more disease in free range pigs] is because grass-fed farmers often run size-manageable and responsible operations. They don’t cut corners precisely because they are held accountable by the community." It might be beside the point of the rest of Paula Crossfield's article, but this benefit of locavorism surfaces again and again. Local is better because you can see the farm and the farmer and that makes them more accountable. This seems to make so much sense. But the social scientist in me (yes, one of my more loathed parts, but a deep-seated one nonetheless) wonders what kind of research has been done to detail the relationship between size of farm, depth of community involvement, and the extent to which farmers "cut corners." In fact, this could really be applied to any kind of organization or business -- how does scale and community ties affect some relatively objective measure of "quality?" It seems like a very difficult thing to study given the observer effect -- people changing as a result of their actions being observed -- but I'll bet someone's tried. I'm going to ask some sociologists for help thinking about this one.